These make great Christmas cards, as well as all year-round any occasion cards. 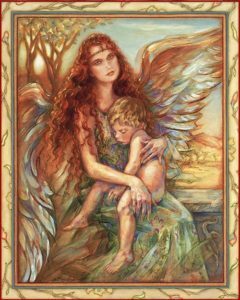 Sheltering Wings, Dream Angel, and Avenging Angel. 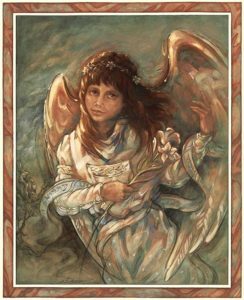 9 assorted 5”x 7” blank note cards, 3 of each angel. High quality acid-free archival paper with envelopes. Perfect as Christmas cards and great all year-round. 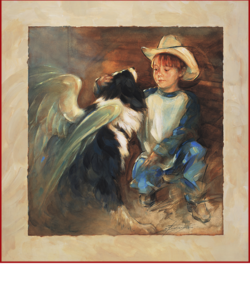 By My Side will touch the hearts of all dog lovers, or anyone who has loved and lost and wished for one more day. 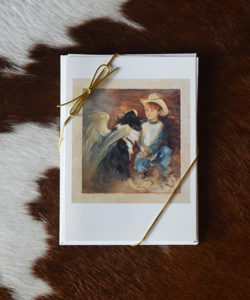 8 non-assorted 5”x 7” blank note cards on high quality acid-free archival paper, with envelopes. Very frameable! 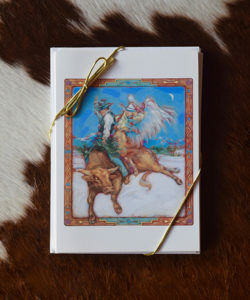 These make great Christmas cards, as well as all year-round any occasion cards. 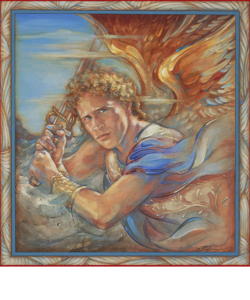 Sheltering Wings, Dream Angel, and Avenging Angel. 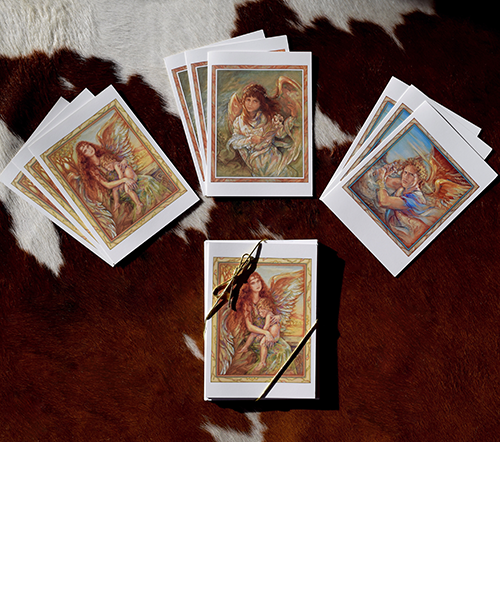 9 assorted 5”x 7” blank note cards, 3 of each angel. High quality acid-free archival paper with envelopes. Very frameable! Perfect as Christmas cards, and great all-year round. 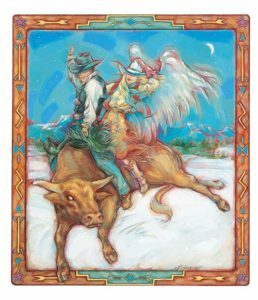 Working Overtime depicts a bull-riding cowboy at his most vulnerable, but he is shielded from harm in the loving embrace of his guardian cowgirl angel. 8 non-assorted 5”x 7” blank note cards on high quality archival paper, with envelopes. Very frameable!